BLACKVIEW was founded in March 2013 by serial entrepreneur Xu Ming (David Xu) ,who believes that high-quality technology doesn't need to cost a fortune. BLACKVIEW is the second largest independent brand subordinated to BLACKVIEW International Group. 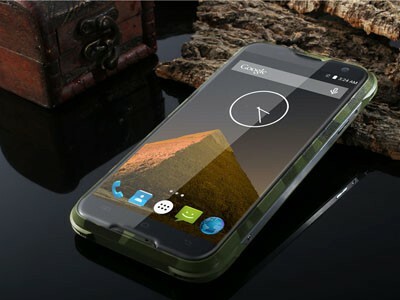 Over the past few months it has increased the popularity of the company Blackview worldwide. And on the domestic Chinese market, the company's reputation is growing, because smartphones it produces interesting and high quality. The company reports that the most popular model was the Blackview BV5000 This model is marketed as waterproof, dustproof impermeable and having a minimum impact protection. And according to the manufacturer for the protection of the population and the technical characteristics of the perfect gadget for adventurous people. Product specifications are also quite decent. BV5000 got HD display with a resolution of 1280h720p display, quad-core processor, 2GB of RAM, 16GB of built-in memory, 13Mp main camera, 5MP camera for selfie and video calls, support for 4G LTE, a modern version of Android 5.1, and a large battery capacity 4780mAch. At the BV5000 was released a few interesting models, some of which Blackview Ultra Plus, which also did not pass unnoticed in the world media. This is almost a copy of the iPhone 6S Plus is ideal for those looking for a stylish smartphone, without having to spend a fortune. He received MT6735 processor four cores, 2 GB of RAM, and comes with a large 5.5-inch HD display. Overall, a great looking phone with decent specifications. The company will release a series of new models, such as BV6000 (review) - super secure gadget filled to the world champions, Ultra Plus, Omega Pro, BV5000 Pro, BV2000, and so on. Gradually, the company Blackview attracts more and more attention in Europe, and in China and in Ukraine, and publishes all the more interesting and amazing smartphones.